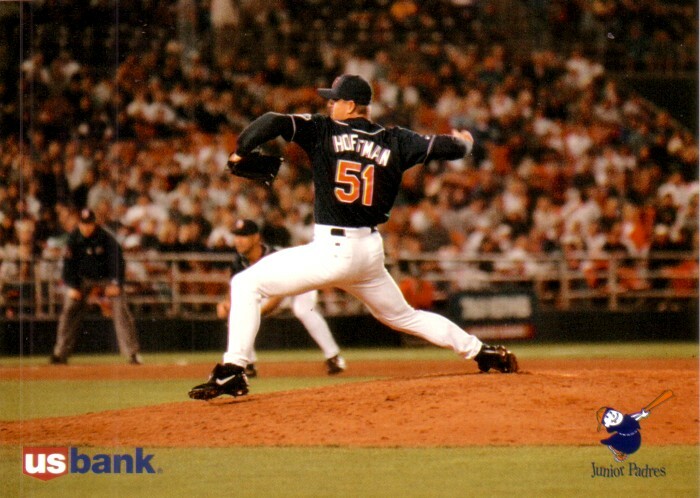 5x7 inch Trevor Hoffman photo card issued by the San Diego Padres in conjunction with US Bank and the Junior Padres in 1996. Back is blank. NrMt-Mt.